This post/episode was originally published in September of 2016. The post/show notes are simply copy/pasted from the original post, but the podcast audio is a new take on the same subject. Today on the show I’m joining Tere Zacher for a few easy miles. Tere is an incredible reminder that it’s never too late to pursue your goals and dreams, even if others view them as completely unattainable. Tere believes in the power of the mind. Today on the show I’m joining Ryan Light for a few easy miles. 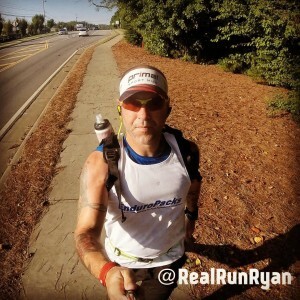 Ryan has almost run more races than he can count, ranging in distances from 5ks to full marathons. But for Ryan, racing is secondary to the benefits that running has had on helping him mentally. Ryan has dealt with OCD and anxiety for most of his life, and in some of his darkest times a friend and runner (that also had issues with anxiety) suggested he try running as a way to help with the symptoms he was dealing with. In today’s episode, Ryan talks candidly about his struggles with OCD and anxiety, how running has helped change his focus to something that is positive, and how that change of focus his literally changed his life. He also offers some words of advice for those that may be suffering with OCD and anxiety in silence that I think all of us can use when we are dealing with the inevitable rough patches in our lives.